Welcome to the Ipswich Car Wreckers services. We deliver top services include cash for cars, car removals and used car parts in the region of Queensland. We specialize in buying all cars, vans, trucks, buses, 4wd’s, 4×4’s and Utes. The customer can sell their all old, scrap, smashed, junk, damaged, accidental vehicles. We cover Ipswich wide including near suburb as well to providing efficient and onetime car removals. We’re car buyers and car dismantler’s specialist in Brisbane wide. Since we’ve more than 20 years of experience in this area and always pay top price. Call us for removals of any scrap cars to get up to $13,999 along with super-fast towing services. Enjoy online cash for cars Ipswich services, you just need to fill the form for evaluation of your car, we will send you the free quote into your email also one of our experts will get in touch with you. You can sell your unwanted vehicles that are no further use and need to dispose of. The advantages of dealing with Car Wreckers Ipswich are obvious, and foremost among them is that you get to earn some money from Car Wreckers Ipswich. If you have an old, damaged, Accident, Unwanted, and Used Cars you can sell such cars to Ipswich Car Buyers. There are only 3 easy steps required to sell your car today. Please try our FREE online valuation Form Where the top cash for quotes will be sent to you. We always compare used car market prices and deliver an accurate and fair estimate. We are the wreckers and always pay the top amount for most of the makes. The plus point is that now we’re helping our customer for free tow away services from their home. Our aim is to get you the better experience with the right amount of your any makes and models. Sell My Car in Ipswich is getting bigger and bigger by day, so don’t get ripped off and call the experts to give proper quote. Searching the particular Toyota wreckers is not easy in the location near to you. Whenever you need any kind of help to buy the used car parts or sell your Toyota. Not to mention, there is also one of the best reasons to deals because we get you all options related to Toyota. Also, We are more than happy to purchase your old Toyota for top dollar. Sell us any models such as Toyota Aurion, Belta, Corolla, Dyna, Estima, Fortuner, Granvia, Hiace, Highlander, Innova, Land Cruiser, Rav4, and Yaris. Consequently, Ipswich car wreckers are your Toyota Car & Truck buyer. Holden Auto Wreckers & Parts available for Holden Astra, Barina, Belmont, Calibra, Captiva, Colorado, Combo, Cruze, Kingswood, Nova, Premier, Rodeo, Sunbird, Vectra and Viva. We Pay cash to our customer for any models listed above with prompt Pick up. We buy All Holdens in any condition, including scrap, junk, and damaged. Looking to sell your Mazda Car? You can deal with us to find nearest Mazda wreckers that can help you to buy any condition cars. We never mind buying accidental scrapped or running condition. Here, you will be paid from $500 to $13999 for small cars to luxury cars. We want Mazda models to include Premacy, Axela, Protege, Mazda 3, Mazda 2, Mazda 6, 626, Demio, Familia, MPV, Verisa, CX-5, RX-8, Bongo, Scrum, Carol, Atenza, Capella, Tribute and Eunos Presso. You can dial our contact number if you have any different model to sell it anytime. Deal with us if you’ve any models from Mazda 2, Mazda 3, Mazda 6, Mazda MX-5, Mazda CX-3, Mazda CX-5, and Mazda CX-9. Ipswich Wreckers uses heavy tow trucks to pick up four x four vehicles with a team of experts. Any 4WD Cars or heavy vehicles are getting removed from the location of your home. The type of makes if you’ve- Toyota Hilux, Ford Ranger, Mitsubishi Triton, Nissan Navara, Isuzu D-Max, and Toyota Land Cruiser. We are ready to pay you up to $11k along with free pickup. These all models and brands are among Australia’s most popular 4×4 vehicles and strongly recommended. These are not only extremely resilient in any kind of Aussie weather or road condition, but also they can simply treated as worthful. Truck Wreckers in Ipswich collects scrap, junk and unwanted vehicles. If you are looking to sell you Any commercial or private truck which is good in running condition is a plus point and helpful to any business. However, if you got old, overused, or wrecked due to the accident, it is now a liability. Truck drivers then suffer from more operational expenses, delayed deliveries, truck repairs, and many more. Sometimes you might be wondering, how will you e get rid heavy vehicle from your premises hassle free? With that, let Ipswich car wreckers do the work for you. Since we have over two decades of experience in the truck disposal business, we are now own leading truck wreck-yard where we cash your trucks and wrecking for parts. 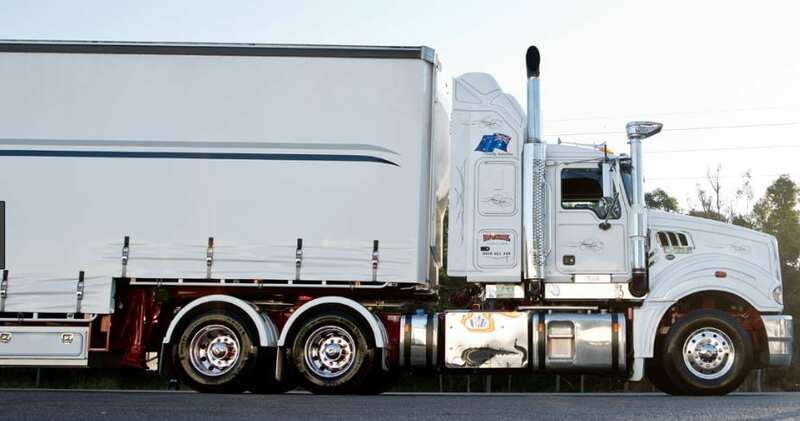 Get a free quote today and remove your truck in Ipswich for permanently. Apart from the above, we also do all makes and models car wrecking, so besides Mazda, Toyota, Holden, if you have other brand cars. Such as Audi, Mitsubishi, Mini, Mercedes, you name it, We buy all. After all, we are the best car wreckers in Ipswich. To sum up, Call us today to get a free quote and remove your car the same day. Getting things easier next to your home now with regards to selling your used cars. Instant payout and free towing get you convenient option to deal with us. We allow our users to get a free online car valuation using the inquiry form or calling us. Ipswich Car Wreckers Company is best in your interest. We work in an organized and professional way. Our wreckers deal with your old, junked, and damaged the car to no more hassle; instead, we remove all the scrap smoothly from your backyard. Honda: Accord, Ascot, Civic, Domani, Fit & jazz, Integra, Legend. Hyundai: Accent, Getz, Lantra, Sonata, Tucson, i30, i35, i 40. Mitsubishi: Challenger, Chariot, Colt, Lancer, Cedia, FTO, GTO, Pajero, Mirage. Nissan: Avenir, Bluebird, Elgrand, Homy, Primera, Presea, Pulsar, Safari, Skyline, Silvia, Stagea, Sunny, Serena. Subaru: Petrol or diesel, Legacy, Impreza, WRX, Forester. Suzuki: Cultus, Carry, Escudo, Swift. BMW: 316i, 318i, 320i, 520i, 525i, 720i, 725i, 728i. Volvo: V40, V50, V60, V70, V80. Holden: Diesel & Petrol any models from 1992. Find our same day car removals not only Ipswich but also closest suburbs as well that includes, Redbank Plains, Amberley, Ashwell, Augustine Heights, Barellan Point, Basin Pocket, Bellbird Park, Blacksoil, Blackstone, Booval, Brassall, Brookwater, Bundamba, Calvert, Camira, Carole Park, Churchill, Chuwar (part), Coalfalls, Collingwood Park, Deebing Heights and Dinmore. Ipswich Car Wreckers services even Brisbane Region, Forest Lake, Inala, Wacol, Goodna and more, so if you guys have cars in Brisbane, then call us and we will give a free quote and pick up the same day.